Lekha and Sitanshu’s Thailand wedding made the lovely town of Hua Hin buzz with traditional rituals and revelry. 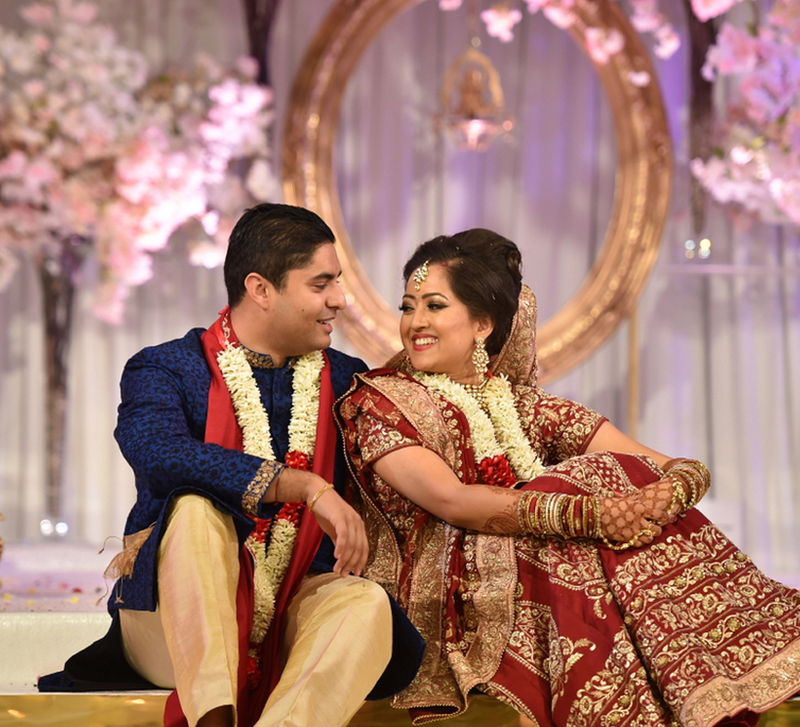 After a decade of being star crossed, it took Lekha and Sitanshu only 6 months to know they were meant for each other. Their Thailand wedding – efficiently planned to perfection – featured a range of colors, themes, and exquisite floral arrangements. 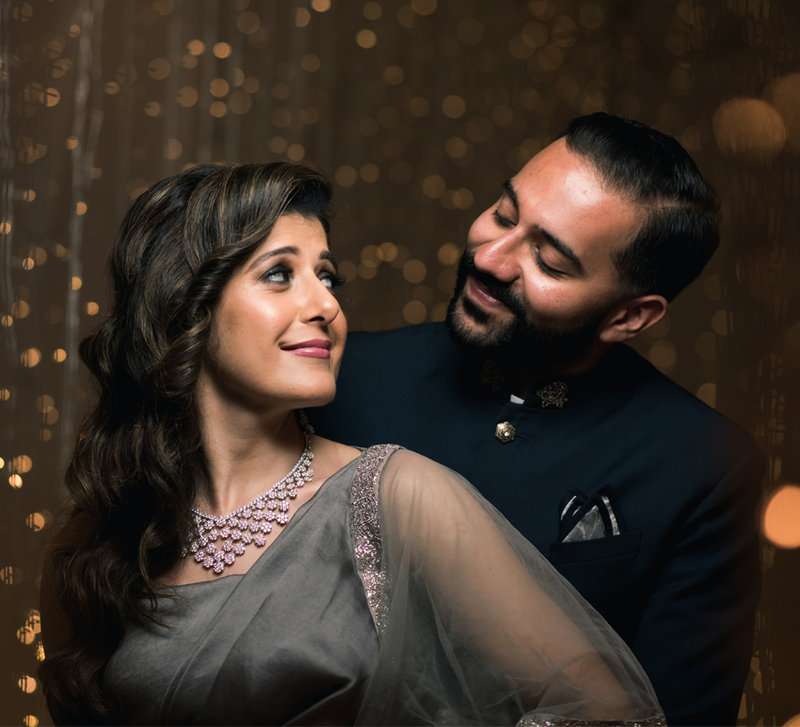 Here, we share the highlights of their lavish nuptials planned by WeddingSutra Favorite The Wedding House with entertainment executed by another WeddingSutra Favorite, GlowShow Entertainment. A common friend tried to play Cupid for ten years. 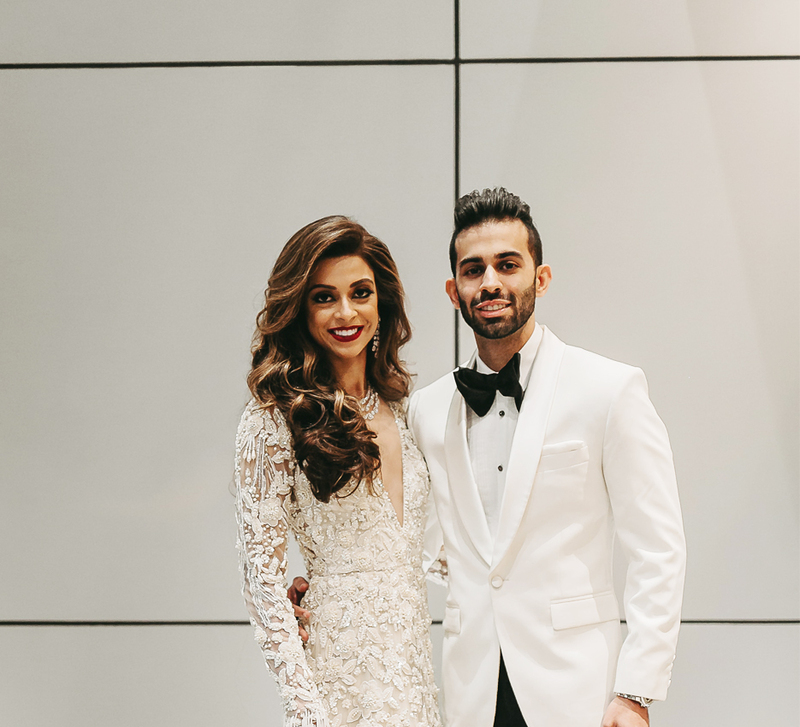 But Sitanshu, a corporate consultant and Lekha, a makeup artist who runs The Cut Collective, were never in the same country at the same time. Then, they met at a party in 2014 and hit it off. 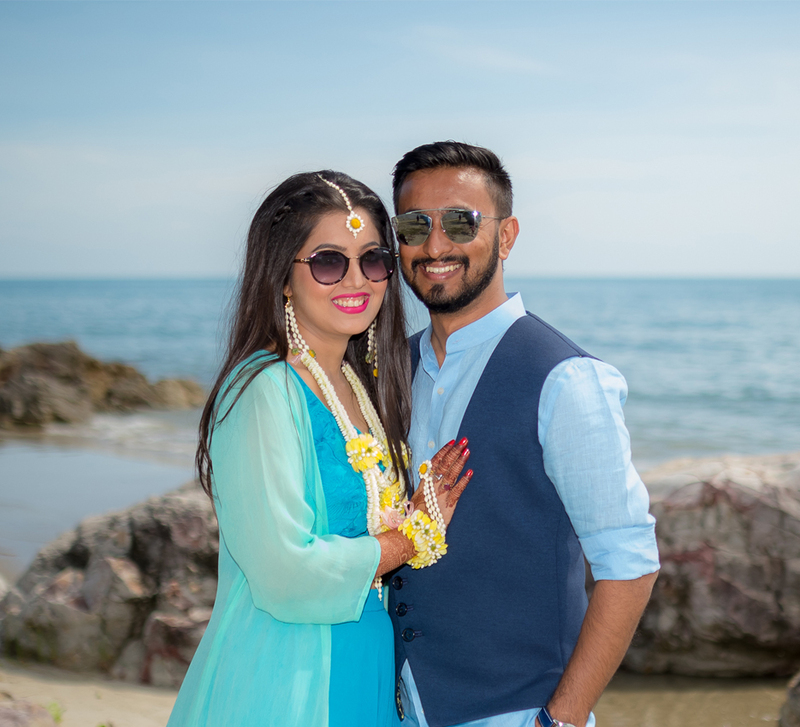 Six months later, Sitanshu proposed to Lekha in Dubai, on a yacht, with the perfect setting of champagne and a beautiful sunset! “The Wedding House was the perfect one stop shop for us. We travelled with them to Hua Hin, Thailand, stayed there for a week, had marathon meetings with all our vendors and finalized all the details. Having an international destination helped us speed up all our decisions, and it was a blessing in disguise because once we came back from our wedding planning trip we didn’t have to deal with the chaos of the everyday wedding stress. The couple wanted a chilled out wedding vibe and they set the tone with a pool party. Unique décor elements, vibrant sun beds and a buzzing bar meant their guests could let their hair down and have a great time besides the stunning pool. The Pool Party was followed by a relaxed sundowner followed. The dress code was resort wear, the venue was set and the lighting arrangements enhanced the mood. The evening was the perfect summer wedding cocktail party with beautiful people and exquisite music that stretched along the entire beach and waterfront. Both the pool party and the cocktail party were such a success that they we followed by after parties that went on into the wee hours of the morning. The next morning, the couple had their wedding ceremony by the beach. Though Lekha is a makeup artist, for the big day, she chose to go with a trusted friend, Pallavi Symons. After all, the only time the bride actually gets to relax in is the makeup chair so Lekha put her feet up and had her friend doll her up. For the ceremony, the bride wanted the mandap to complement the pastel color of her outfit. So, the wedding decor included crisp white and hints of coral pink in elements such as drapes and flowers. It looked beautiful. Everything was aligned with the picture the couple had in mind. The bride looked ethereal in a powder pink lehenga and the groom complemented her in a white sherwani. Glamor, glitz and glitter were the order of the evening. The Wedding House organized harpists and international performers but the biggest highlights of the evening were the speeches. For Lekha the most touching part of the celebration was talking and listening to their friends and families. She explains, “It is a great feeling to be able to communicate your truest feelings to your families and friends on your big day. It is the one day you should take the opportunity to collect your thoughts and thank your parents and loved ones, and tell your new family how happy you are to have them!” - and the best way to do it is through wedding speeches! For a destination wedding, Lekha recommends going a few days early to just relax in the resort and spend quality time with your family before the wedding madness begins. It’s good to take some time off between wedding packing, moving homes and the wedding itself.